We specialize in making the inaccessible accessible. Alaska is an ATV recreation mecca. With thousands of miles of trail systems, the adventuring possibilities are endless. Looking for a unique day trip? Perhaps a multi-day expedition? Want to get down and dirty on the trail, but end up in the comfort of a lodge or RV at night? Perhaps you feel the need to get back to nature and days away from civilization? Give us a call and let us help craft your personalized adventure. Here are a few options to kickstart your wanderlust. Call for more. 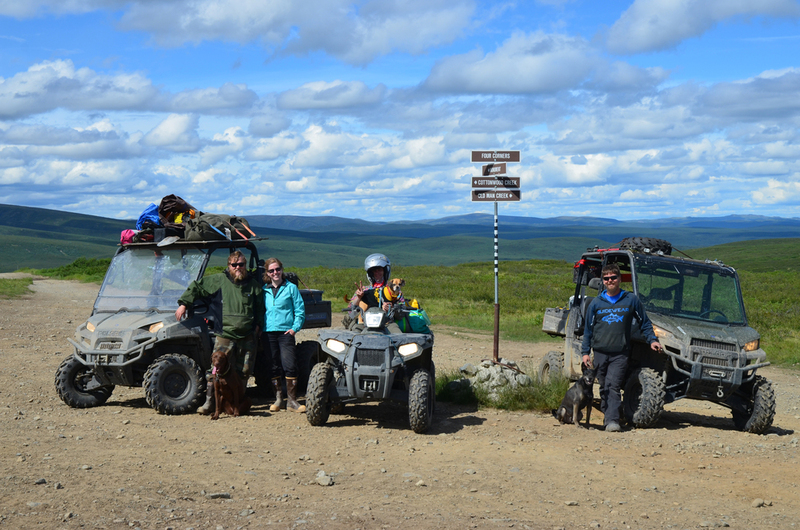 A beautiful 140 mile drive north of Anchorage, the Nelchina Public Use Area has miles of wide-open, rolling tundra hills with interconnecting trails. This is the perfect place to "get lost" for a few days before returning to civilization. Amazing views, stream crossings and epic hill climbs are signature features of the area. Routes are customizable to cater to any riding level, making Nelchina perfect for families as well as seasoned riders. Hotel, RV or tent camping available. As its name implies, Boulder is rock riddled with technical stretches perfect for the experienced rider. Also part of the historic Chickaloon trade route this trail connects into other trails far off the grid. Lots of extreme hill climbs in thick forest with boulder filled mud bogs make for a very fun and demanding multi-day ride. We can hardly begin to list all of the trails in Alaska. Even as life-long local riders, we regularly find new nooks of the state to explore. There are well-known trails with amazing destinations, and much less explored trails to get away from the chatter of the world. If you want to see and experience the real Alaska, the "Last Frontier," call us. As with all of our trails… be prepared! Dress warm, wear hiking shoes (no open toes) and wear multiple layers. Tents and sleeping bags will be provided. Please make sure to let us know if you have any dietary needs when you make your reservation.